We`ve found what we believe to be the most beneficial, most sustainable and, wherever possible, certified organic advanced natural ingredients in the world. Together these blend into a concentrated, healing, all-purpose balm rich in Omega 3 and 6, natural super-emollients, vitamins and antioxidants. All these ingredients have proven and potent skin conditioning and healing properties. Soothing dry skin: Intense, long-lasting moisture barrier protection and relief; a great remedy for dry, tired and dull skin. All over nourishing and protecting: Soothes and repairs chapped or rough skin on elbows, knees hands and feet. Heavy-duty damage control for long-haul flights and travel. Healthy nails: Soften and protects your cuticles. Perfect massage oil: Warmed between palms it glides over the skin`s surface, easing bumps and bruises - and pain from that last exercise session. Lip conditioning: Helps to smooth and soothe when things get rough. Multi-purpose moisturising: With botanical super-emollients to replenish skin`s moisture levels, post-shave, after-sun or whenever you face the elements. Looking after baby: Replace mineral oil based baby products with Everything Balm. Using me everywhere: A true multi-tasker when travelling; cut your beauty kit in half. 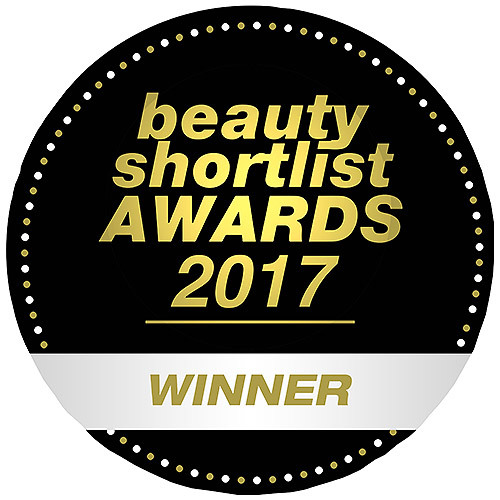 Free from: Parabens, silicones, PEG`s and fillers, synthetic colours and fragrances, GMO derived ingredients, harsh detergents and surfactants. Prunus amygdalus dulcis (sweet almond) oil, Cera alba (beeswax), Carica papaya (papaya) fruit extract (and) Glycine soja (soybean) oil, Sclerocarya birrea (marula) seed oil, Oenothera biennis (evening primrose) seed oil, Rosa canina (rosehip) seed oil, Triticum vulgare (wheat) germ oil, Calendula officinalis flower extract (and) Glycine soja (soybean) oil, Echinacea purpurea (coneflower) extract (and) Glycine soja (soybean) oil, Cocos nucifera (coconut) oil, Tocopheryl acetate (vitamin E), Simmondsia chinensis (jojoba) seed oil, Olea europaea (olive) fruit oil, Mel (honey), Parfum citral*, geraniol*, citronellol*, limonene*, linalool*. Warm in hands or fingertips. Melt on contact with skin and absorbs rapidly. Use anywhere, anytime. To ensure compatibility, we recommend patch testing before first use. Below are reviews of Trilogy Everything Balm - 95ml by bodykind customers. If you have tried this product we'd love to hear what you think so please leave a review. I really like this balm. It's kind of like a hard Vaseline that melts on contact. It's really smooth, with amazing glide and can be used anywhere from top to toe on dry patches. It feels really lovely on. I even use it to twist my fro. I docked a star because the essential oils in it are too much for me. If I use it soon after a shower it will burn me for hours, so I can only use it long after. But my favourite thing to do after I've showered and moisturised is to balm up. I'm really bummed by this. It would have been my very favourite. As it is I have to use with caution. 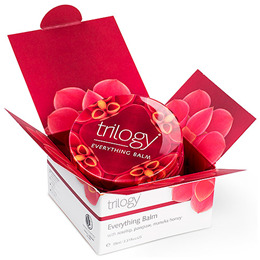 Trilogy Everything Balm is a concentrated, healing, all purpose balm rich in Omega 3 and 6, natural super emollients, vitamins and antioxidants. All these ingredients have proven and potent skin conditioning and healing properties.